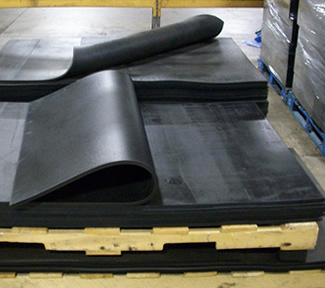 Our versatile rubber sheets for industrial, agricultural, or commercial applications can take a lot of abuse. Longevity and wear is the key in these applications and BIRCO has the answer. Made with our designed compounds, BIRCO’s sheets and pads offer the much sought after combination of strength and softness. If you have a special application requiring certain specification or dimensional requirements, please contact us for a quote. We have alternate surface textures available in our tooling inventory.